THE STRONGEST LINE UP OF THE LAST TRANCEFUSION IS COMPLETE! In less than three months Trancefusion will end it’s 4 year history and thousands of trance fans from around the world will gather again for one last time. In the past weeks the unfolding procedure of announcing the complete line up took place and just before the end of 2014 the last names have been released. Undoubtedly, we can say that this is the strongest and largest line up in the history of the Czech trance scene and it includes multiple world-class premieres. Who we will introduce during the 14 hour program in Prague in April? No entry below 18 years of age. Diamond VIP tickets include unlimited consumptions at the bar. Or order by phone: +420- 605 007 551. 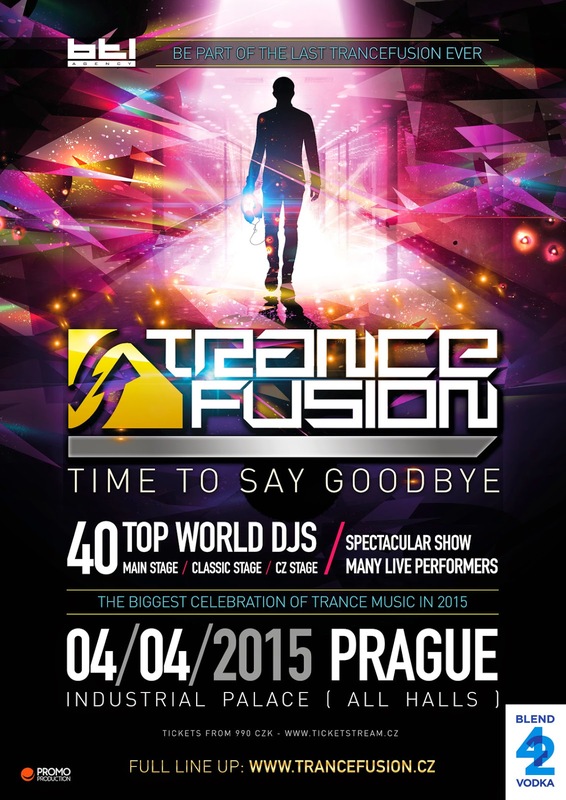 Tickets on delivery (world wide): tickets@trancefusion.cz postal charge depending per country. *based on the exchange rate of January 5, 2015. Please be aware this can vary.